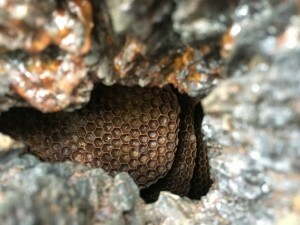 The phenomenon of honeybees constitutes an unusual and unique matrix of life. As a sentient mammalian being and social insect alike, it lives at the crossroads of different archetypes. The closer we look, the more vast the dimensions of its nature become. Just as light swings between the world of particles and that of a wave, the life continuum of the bees as a “one-beeing” stretches across polar opposite paradigms. The extreme fluidity of all physiological and morphological aspects of this animal is paired with a dynamic locality of organ like functions. Within the corpus of the “one-beeing”, the individual bees can be understood as somatic cells, who can flow like blood, take on metabolic functions and oscillate between many different physiological functions. In one moment they can be part of the respiratory system, in the next an umbilical cord cell, osteoblast or olfactory receptor. Regular physiological laws cannot be applied easily, as the “one-beeing” belongs to an evolutionary stream of it own kind. The Austrian philosopher and innovator Rudolf Steiner described bees as a “Weltenraetsel”, which literally means world enigma, similar to the famous Zen Koan which inquires about the sound of one hand clapping. We may perceive this complex spectrum of the “one-beeing” as a paradox, and yet the paradox only exists in language and words. 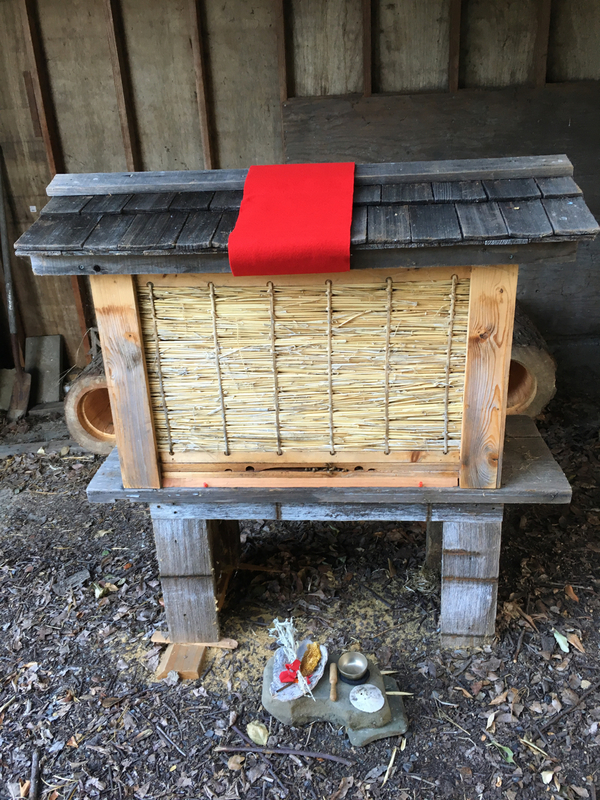 Just as koans only make sense when we go beyond words, so too can bees only be fully understood through a direct and intimate experience and relationship. Honeybees invite us to enter the unknown landscape of our consciousness and to step outside of our default faculty of reasoning. They encourage us to move into “bewilderment where the mind wanders without certainties” (Terry Tempest Williams). When we observe bees with innocence and openness, we can perceive a deep inwardness within the “one-beeing”. It is a soul and wisdom filled inwardness. We could say that the essence of our work and relationship with bees hinges on intimacy, an intimacy with the heartbeat of the “one-beeing” and our own innermost being. 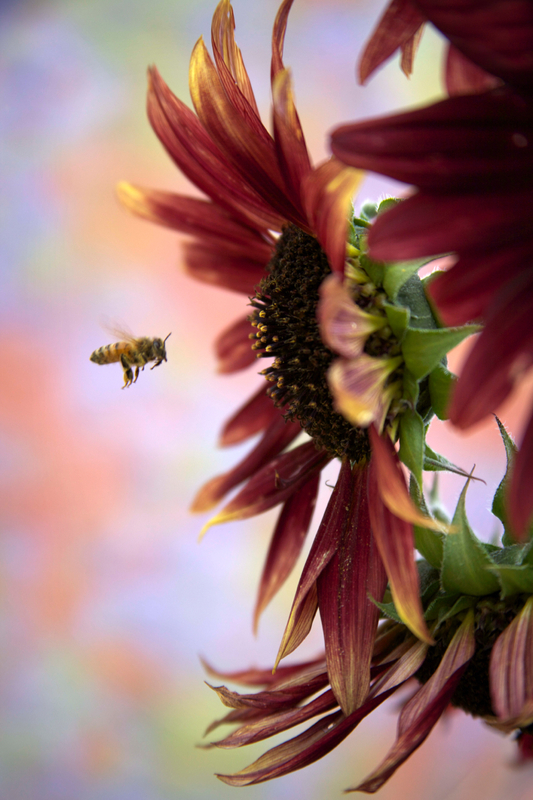 Inner awareness, stillness and sensing are the means for this deep quest into the bees. It requires courage to enter this ineffable field without the patchwork of maps of our old left brain world. The “one-beeing” is an embodiment of the principles of inter-being. It epitomizes the new fundamentals of life which are defined through an awareness of interrelations and interdependencies rather than personal concern. The “one-beeing” encourages us to step into another sense of self, a sense of self which is valid beyond dualism. This new identity recognizes “itself” in the rose blossom, the ocean, our enemy, and the entire cosmos. In the mystery of real contact with the “one-beeing” can we find refuge and the means to respond to life from a deep and grounded place. It generates a perspective which is infused with the intimate knowledge from experimental sensing. Who am I, and what is the foundation of my beliefs? In many spiritual traditions this point is described as leaping across the abyss. For most of their life, individual bees live in utter darkness within the hive, among thousands of others of its kind. They move with a beautiful fluidity across many combs on a vertical plane and are immersed in the warmth and humidity within the dynamic outer membrane of the “one-beeing”. Touch, taste, olfaction and subtle senses for magnetic and gravitational fields compose their sensory spectrum. Their life is suspended within the gravitational ocean of the earth. The gesture is concentric, contracted, and in a lively state of inhalation in darkness. Yet the fluid and dynamic potential for change is always present. Seemingly radical transitions are a normal feature within their life, as they can suddenly spread their wings – or we could say membranes – and launch themselves into the light flooded aerial ocean. The polar opposite from the previous state is realized: the gesture moves towards light, expansion and the periphery, in a smooth long exhalation. Swarm medicine can be our tonic for challenging times: It is a birth of a new being when a so-called bee swarm is leaving home. The swarm is shedding its familiarity with the nest of origin and dissolves the bond to the exact location of the former home. The newly born is on a quest for a nest site, without which it would not be able to live. It leaps with profound faith and trust into the unknown. This endeavor is about life and death and the newborn recognizes the unknown as the only viable option for a path into the future. It is the utmost act of letting go – a letting go into a birth of new possibilities! It is a leap into total presence. It is a leap across the abyss. When we enter with presence and intimacy into the mystery of bees, we can understand that they are not only a fundamental necessity for the procreation of a vast number of plant and animal species, but that the “one-beeing” is a unique inspiration in our cultural, psychological and spiritual life. Her entire life substance is infused with altruism, service, love, and a unique sense of self. She not only reveals the deep interdependencies and the wholeness of the entire biosphere, but is a keystone species within the web of life. She is a sense organ of the earth. She is a gift given to life on our planet. Through the art and craft of the apiarian way we find a multidimensional landscape of “beeing” and of being in the world. The “one-beeing” is medicine for our soul, heart, and spirit. Her simple presence is a basic call to consciousness, audible only to our hearts. What will it take for us to leap across the abyss?